I have been practicing yoga since 1996 and teaching since 2009. I grew up in Canada and moved to England in my twenties to study acting. I worked as an actress and a drama teacher before my love of yoga led me to undertake a three year yoga training course. I hold teaching certificates from the Krishnamacharya Healing & Yoga Foundation (now called The Society of Yoga Practitioners) and the British Wheel of Yoga. I completed the British Wheel of Yoga Module In Pregnancy with Judy Cameron in 2013. The concept of the individual is at the heart of the KHYF approach. Yoga is not a finite discipline but a group of tools that can be applied for the benefit of each person at every stage of life. 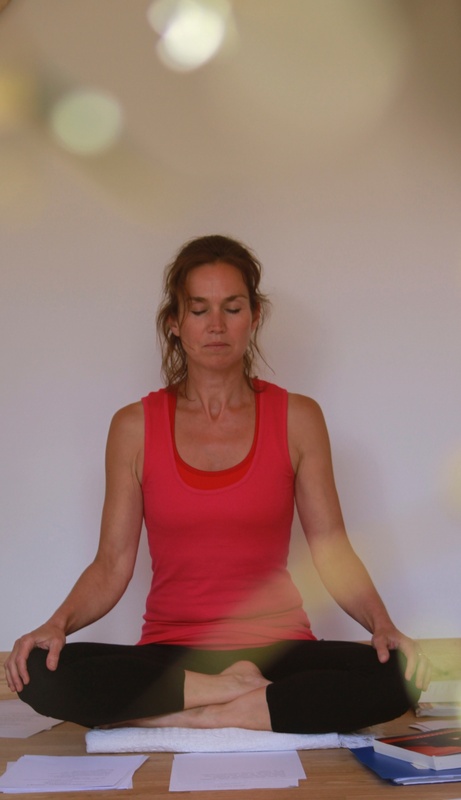 As well as posture work (asana), I include pranayama, visualisation, and chanting in my yoga classes as appropriate. Every yoga teacher is forever a student and I attend regular classes with my mentor Deborah Sutton as well as training weekends with the TSYP. In 2013 I studied Mudras and Bandhas at the Sannidhi of Krishnamacharya Yoga in Chennai, India. I returned to Chennai in January 2017 to do an intensive 10-day training in Vedic Chanting. I am currently training to be a fully-qualified Vedic Chant Teacher under the tuition of Radha Sundararajan, trained and appointed by Sir TKV Desikachar to continue sharing the great tradition and discipline of the Chanting of the Vedas. This June I will be leading my first yoga and chanting retreat! For more information see the page 'Yoga Retreat in Bulgaria'.